David was the third of the Nelson brothers (Alfred ’73, Ronald ’75) to play varsity hockey for Austin and they worked to establish their teams as forces to be reckoned with. As the youngest David felt he had to live up to the legacy they established and he did so with pride and the love of his family and his school. He came to Austin from Burlington Middle School and already had a stellar reputation as a defenseman in hockey. His three-year varsity career as a Cougar saw his teams amass a winning record of 47-12-3. As co-captain in his senior year, he led that team to the school’s first ever league championship in ice hockey, taking the Merrimack Valley League East Championship with a 16-1-1 record, and the best in the combined league standings. In that senior year he set the scoring standard for defensemen with 12 goals and 30 assists for 42 points, a mark that has never been broken. His personal trademark, a rink-length rush followed by a snap shot on the goalie or a pinpoint pass to a trailing forward inevitably led to goals being scored. Awards that followed for Dave were numerous. 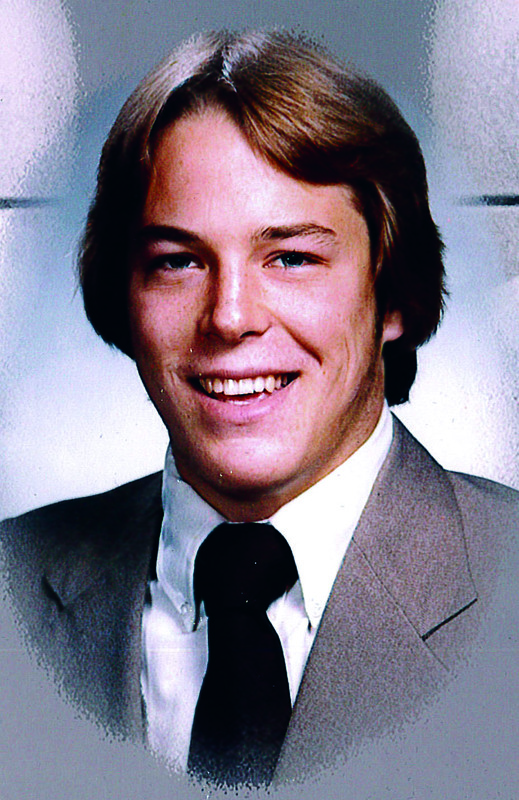 He was chosen the first team All-Star in that senior year with his defensive partner Blaise MacDonald ’81. He was selected as the Lowell Sun Player of the Year for the 1980-81 season. He was also selected to the second team All-State by the Boston Globe. The 6’2”, 185-pound power skater was chosen by his coach Brian Hayes as the Austin Prep Most Valuable Player for the year. He was chosen as a Hockey Night in Boston Catholic All-Scholastic. Coach Hayes reflected that “we could see Dave coming into his own as a junior (3-10-13 scoring). By the end of his senior year he owned the MVL, and had a great season-ending tournament.” He earned a well-deserved scholarship to the University of Massachusetts Lowell as a defenseman. David had his jersey, “No. 10” retired by Austin at the start of the 1981-82 season. That uniform hangs in the second floor hall of the MultiPurpose Facility. The new and improved weight room was dedicated to his memory by the fundraising efforts of his friends and classmates from Burlington.